Are you interested in purchasing the highest quality meat for your family, and actually spending less than in the grocery store? Buy your Beef, Pork and Lamb Direct. Wisconsin River Meats has developed a working relationship with a group of livestock producers that raise the highest quality meats for your table. They raise their livestock on local family farms as naturally as possible, All these farms are well established and have a long record of quality livestock and ethical practices. 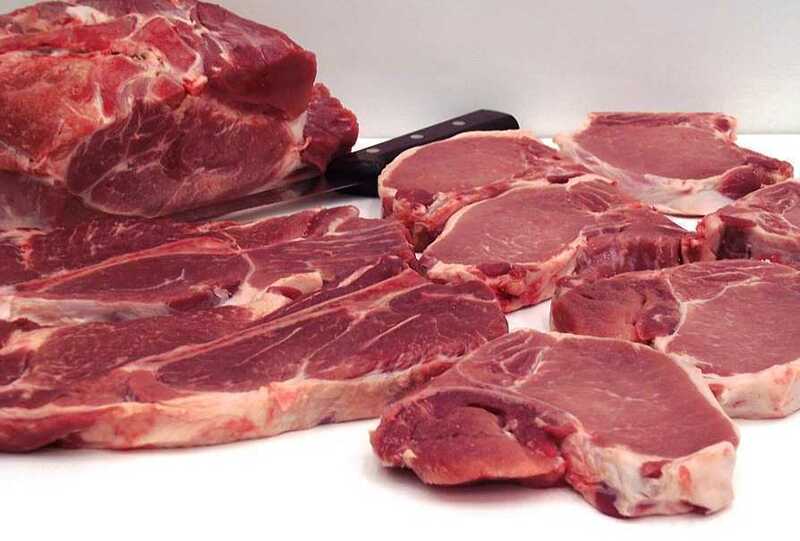 You can purchase whole, halves, split halves and quarter carcasses directly from us. Either way your guaranteed fine quality cuts at an affordable price. Wisconsin River Meats will process your cuts with special attention to detail. All of your cuts are "Restaurant Cut" by our professional staff. Well trimmed, lean and healthy cuts are as good as anything you would receive on your plate from the best of restaurants. We are currently only charging $3.19/lb. on the hanging weight (carcass weight) for split 1/2's of beef and halves of beef. Based on approximate weights and estimates, you should budget around $590.00 for a split 1/2 of beef and around $1180.00 for a 1/2 beef. Also based on approximate weights you should expect around 120 lbs. of actual meat in your freezer for a split 1/2 and around 240 lbs. of actual meat for a 1/2 beef (depending on how you get your beef processed). This price includes purchase, harvesting, aging, cutting (see general cuts beef column), wrapping, grinding, freezing and boxing for your convenience. Time from order to pick up varies but you should budget for about two and a half to three weeks. Soup Bones (optional) 2 per pkg 6-Pkgs. Short Ribs (optional) 2 per pkg 6-Pkgs. We are currently only charging $1.99/lb. on the hanging weight (carcass weight) for 1/2's of pork and whole pigs. Based on approximate weights and estimates, you should budget around $165.00 for a 1/2 pig fully processed and around $330.00 for a whole pig fully processed. Also based on approximate weights you should expect around 70 lbs. of actual meat in your freezer for a 1/2 pig and around 140 lbs. of actual meat for a whole pig (depending on how you get your pig processed). This price includes purchase, harvesting, cutting (see general cuts of pig column), smoked ham, smoked bacon, seasoned pork sausage, wrapping, grinding, freezing and boxing for your convenience. Time from order to pick up varies but you should budget for about a week to two weeks. Spare Ribs (quartered) 7 lbs - 2 Pkgs. Pork Neck Bones 5lbs. - 2 Pkgs. If you are a livestock producer or hobby farmer and are interested in having animals harvested for yourselves or for your other customers please feel free to contact us. We harvest every week, work well with others and can arrange to meet your needs and requirements. You will need to make an appointment for the harvesting of your animals. Normally we harvest on Tuesdays so if scheduled, we would request that you transport your animal(s) here to Wisconsin River Meats on the Monday before for drop off and identification preferably before 4:00 p.m. of that Monday. You and your customers are important to us. Our staff can help assist with cutting orders and the allocation of your animal(s). We cut everything "restaurant cut" and to the best of our abilities including packaging with heavy freezer paper and boxing up of all the orders so you or your customers do not have to worry about coolers or boxes. We will take care of everything. Scheduling times vary especially in the late fall season. We will always accommodate to the best of our abilities. 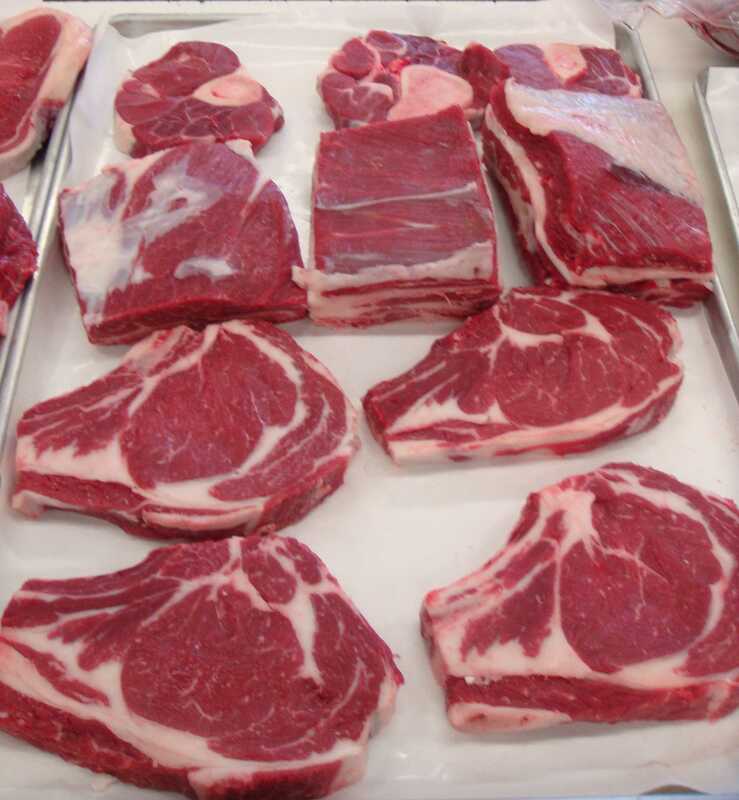 Wisconsin River Meats offers many professional processing services for Beef, Pork, Lamb, Buffalo, Elk, Venison and Fish. Please click here or email john@wisconsinrivermeats.com to request more information about Direct Farm Marketing. 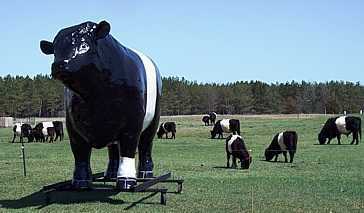 Click here to read more about direct marketing your beef. Wisconsin River Meats conducted their own survey to document and demonstrate quality, yield and retail cut characteristics of one of John Hamm’s Belted Galloway Beef. Please browse through for information and research. To provide Farmers, Ranchers and Livestock Producers a value added market for their Wisconsin produced food products with emphasis on meat products. 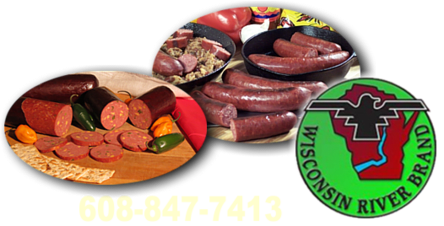 To provide Wisconsin consumers the finest in Wisconsin food products (with emphasis on meat products) purchased directly from the producer, and consumers having the opportunity to develop positive relationships with the producers, and experience rural Wisconsin. To utilize Wisconsin River Brands, Inc. Employees, Facilities, Technology, and Expertise to produce the highest quality food products so that the producer and Wisconsin River Brands, Inc. can make a fair profit and consumers can receive high value quality products. 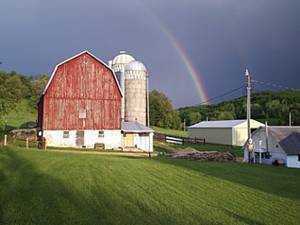 To promote the future of agriculture in Wisconsin providing marketing opportunities and fellowship for the agricultural community and farm youth. Service Area: Mauston, Baraboo, Portage, Reedsburg, Black River Falls, Richland Center, Nekoosa, Lodi, Wautoma, Pardeeville, Poynette and surrounding communities. Page Summary: Wisconsin River Meats offers Mauston meat products, Baraboo elk ranches, Sparta pork producers as well as supreme meat products, wholesale meat products, trout farms, wild game meat products, beef producers, midwest beef producers, for Mauston, Baraboo, Sparta, Tomah, Reedsburg, Black River Falls, Prairie Du Sac, Sauk City, Lake Delton, Wisconsin Dells and surrounding Wisconsin communities.